Study: Texas is one of the worst solar states in the U.S. When it comes to solar energy policies in the United States, it’s a bit like the Wild West out there. Not only does each state have different policies, but many states have also reached a point where officials are currently reviewing their own policies. 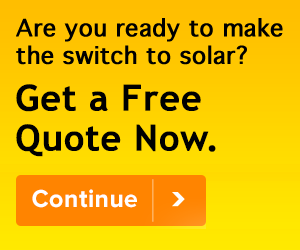 Simply stated, there’s a lot in flux in U.S. solar industry right now. Recently, the Center for Biological Diversity took a look at solar energy policies across different U.S. states, and Texas did not fare very well. In fact, according to the Center for Biological Diversity, Texas is one of the worst states in the entire country when it comes to solar energy policy. The ten worst solar states in the U.S. In the study, the Center for Biological Diversity highlighted regions that are “blocking distributed solar potential through overtly lacking and destructive distributed solar policy,” and targeted 10 states in particular — Alabama, Florida, Georgia, Indiana, Michigan, Oklahoma, Tennessee, Texas and Virginia. According to the National Renewable Energy Laboratory (NREL), that group of ten states owns more than a third (35 percent) of the total rooftop solar energy potential in the contiguous U.S., but accounts for just 6 percent of the total installed distributed solar capacity as of March 2016. The top ten solar states in the U.S., on the other hand, account for 86 percent of the total solar capacity in the U.S. So there’s big gap to fill and there are a lot of opportunities to fill that gap. The study analyzed a number of factors to gauge the relative strength or weakness of each state’s overall solar energy situation, including any solar expansion policies or regulatory barriers that may exist. Texas failed. In Texas, there is incredible potential for rooftop solar power. In fact, with a huge population and a lot of homes, the state is ranked second in the contiguous U.S. as far as potential goes. But, according to the study, much of this potential is squashed by legislation, so the number two state in solar potential ranks 12th in installed solar capacity. According to the Center for Biological Diversity, a 2007 Texas bill would have mandated statewide net metering practice, but the bill was blocked by the Public Utilities Commission (PUC). And subsequent attempts in 2009, 2011 and 2013 to circumvent the PUC’s authority regarding net metering failed to pass the state legislature. Net metering is system in which owners of residential (usually rooftop) solar installations are compensated by state utilities for unused electrical power generated by their solar arrays. Currently, at least 43 U.S. states have net metering in place in some capacity. Net metering has been a hot topic in the energy industry for some time now, as many different states have either passed new legislation or have discussed passing new legislation that affects net metering policies. Recently, both Vermont and Massachusetts updated their net metering laws, and made a few headlines in the process. Only California has more rooftop solar power potential than Texas, but without a consumer-friendly net metering policy in place and with a weak overall distributed solar policy landscape, Texas will continue to lag behind the rest. Solar power continues its upward trend in the U.S.
Apple -- tech giant and ... energy company? Energy news delivered to your inbox once per week. Apple — tech giant and … energy company? Microgrids: Good for public safety but not always for the budget?